Fund My Future | $2,500 in prizes is up for grabs every month! A savings account in your child’s name can build hope and make future dreams a reality. That’s why we want your family to be a part of Fund My Future. 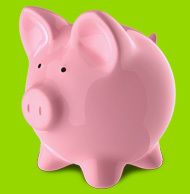 Saving for your child’s future is easy and fun. One $1,000 prize and thirty $50 prize winners will be selected every month! Make a deposit and you're eligible for monthly prizes. All children 0-18 in Allegheny County are eligible. Check your tickets! March’s $2000 winning ticket number is #302163. See all thirty $100 winning ticket numbers here.